We thought it was dead, but apparently it is not dead. The 2020 Toyota Yaris hatchback returns, essentially as the hatch version of the Yaris sedan based on the Mazda 2. It still has 106 horsepower, but now comes with a few more standard features and restyled bodywork. 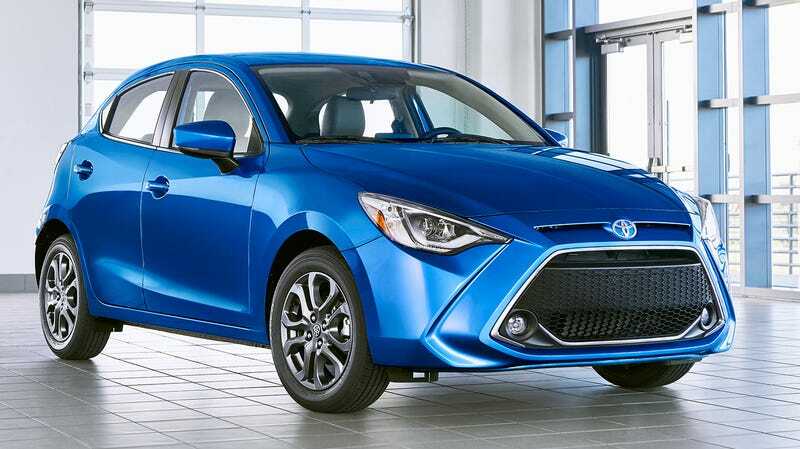 In the press release for the new Yaris hatchback, Toyota describes its look as having a “bulldog-like stance,” with a very pouty front grille that has multiple chin levels, which was a choice, with a “cab-rearward” design. 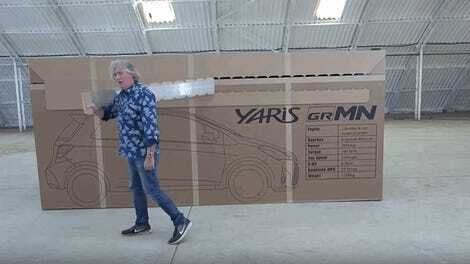 Toyota also believes the new Yaris hatch will “raise your standards,” offering standard 16-inch alloy wheels, power-adjustable mirrors with embedded LEDs and heating for cold winters, body colored door handles, smart key entry, push-button start, a backup camera, fog lights, and Toyota even threw in a first aid kit for you, all standard. Inside, it also gets a standard 7-inch infotainment touchscreen, six entire speakers, you spoiled brats, Apple CarPlay and Android Auto, aux and USB ports, and a sporty steering wheel with button controls and, get this, you can both tilt and telescope its adjustment. You haven’t felt true comfort and entitlement if you haven’t brought the wheel to your body, instead of your body to the wheel. If you go crazy for the XLE trim, you get automatic climate control, auto LED headlights, rain-sensing wipers, and leatherette on the seats, parking break, shift handle, and gear selector. The hatchback will seemingly only be available with a six-speed automatic initially, unfortunately, with a 1.5-liter 106 horsepower four-cylinder. You also get a Sport Mode setting, for those rip-roaring front-wheel drive burnout fanatics. The car will be shown off at the upcoming New York Auto Show in a couple weeks, with pricing yet to be announced. We really liked the Yaris sedan when we’ve driven it, so this one probably won’t let us down either, even if it is auto only. What’s adorable is Toyota’s promise that it can still “scoot” into parking spaces. Scoot on by, little guy.